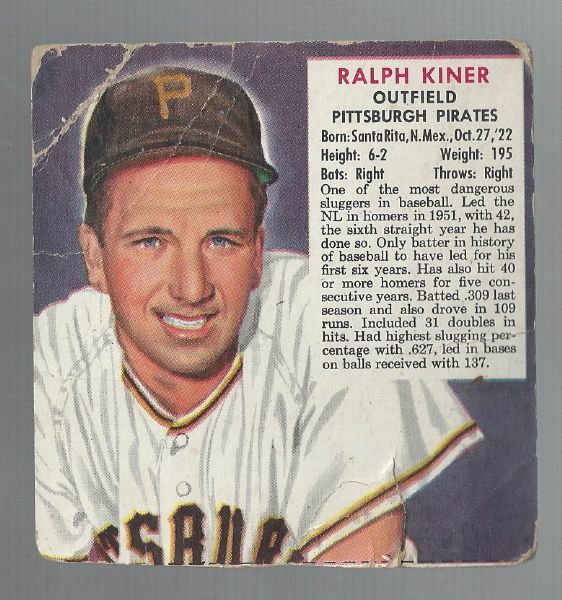 1953 Ralph Kiner (HOF) Red Man tobacco card. Lesser condition. Missing tab. Has numerous creases.